In a recent post I discussed the Conrero which had been built for Triumph at Le Mans but due to financial issues Triumph dropped the Conrero car and used a TRS body which I mentioned in my post but did not explain or show. 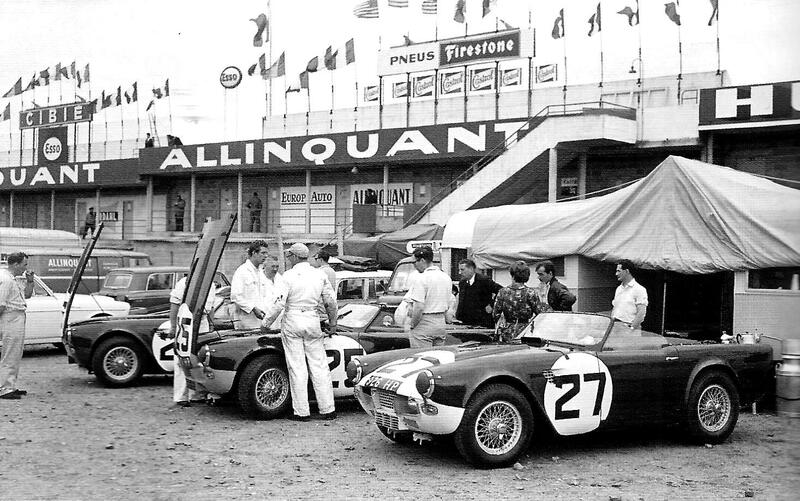 This TRS body style is shown below at Le Mans in 1960. 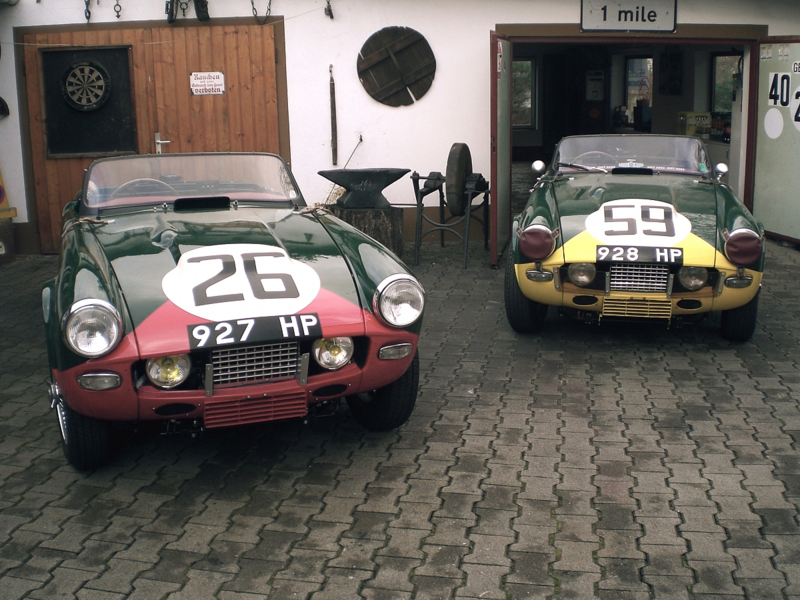 The color images below provided by David Scothorn provide a better look at these TRS bodied Triumph race cars. Triumph had sent the TRS body style to Conrero to form the basis of Conrero’s design work on a new body style. When Triumph sent the TRS body to Conrero, Triumph told Conrero that any new design had to be able to accommodate the “Sabrina” engine. 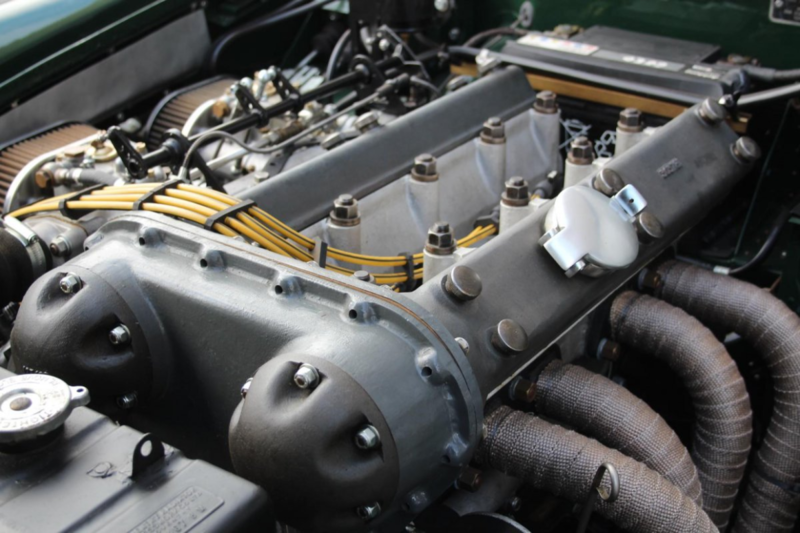 The “Sabrina” engines were two-liter four-cylinder engines with dual overhead camshafts and cross flow heads. This engine which generated about 150 to 165 horsepower is shown below. The two castings at the end of the overhead camshafts were likened to a young starlet of the time, Norma Sykes, who was better known as “Sabrina”. This entry was posted in Uncategorized and tagged Triumph Concero. Bookmark the permalink.